IEEE Central Iowa Seminar with Doug Jacobson: Why Cyber Security Engineering? Title: Why Cyber Security Engineering? Abstract: We will discuss how Iowa State University designed a cyber security engineering degree program using our computer engineer degree as a baseline. We will discuss the process to design the degree, and the courses that were created. We will also discuss how we using the current capstone experience to create multidisciplinary teams between computer engineers and cyber security engineers In addition we will highlight the current recruitment and outreach activities and how you can build a pipeline starting in middle school and several co-curricular activities that help build a strong sense of community among the students and also provide a way for employers to interact with the students. Bio: Doug Jacobson is a Professor in the Department of Electrical and Computer Engineering at Iowa State University and currently holds the rank of University Professor. 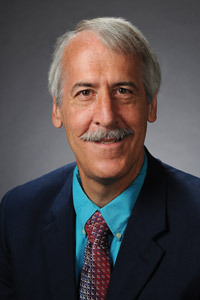 Dr. Jacobson joined the faculty in 1985. He has been teaching cyber security courses since 1995 and in 2000 he led the effort to create the Master’s degree in information assurance. Doug created the ISU Information Assurance Center in 2000, where he still serves as its director. He led the effort to create a BS degree in cyber security engineering, which is housed in the electrical and computer engineering department. The degree will start in the fall of 2019. Dr. Jacobson has given over 200 presentations in the area of computer security. He has published numerous papers on computer security education and the use of hands-on laboratories to teach computer security, as well as written a textbook on network security. He also created a computer security outreach program targeted at the general public, post-secondary students and faculty. He co-authored a book on security literacy for the non-technical audience and also lectures on this topic. His team has developed a cyber security literacy curriculum for grades K-12.